ASHI Credentials are not quickly or easily obtained. 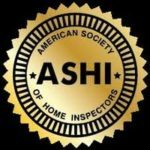 ASHI Certified Inspectors have passed the tough and comprehensive 4 hour National Home Inspector Examination given by the Examination Board of Professional Home Inspectors. This exam is proctored. That means that it is a closed book test taken in a professional and monitored testing environment where those being tested are identified by a state photo ID. This is not a simple on-line test which can be taken with open books and help from others! Note Well! The NYS Department of State allowed this notoriously easy and un-proctored online test to be used as proof of competency for home inspector licensing for those who took this easy online test before December 31, 2005. Beware! There are many NYS licensed home inspectors who have never taken a home inspection exam that proves competency. For your protection, demand an inspector who has ASHI logo privileges. ASHI Certified Inspectors performed at least 250 fee-paid inspections before becoming certified. Our chapter provides technical education monthly to increase our Member’s knowledge of building systems, emerging technologies and common situations. Although NYS licensing requirements are not as stringent as ASHI Certified Inspector requirements, our chapter Members are all licensed to provide home inspections in the State of New York. Our Chapter Members observe the industry model American Society of Home Inspector’s Standards of Practice and Code of Ethics. The American Society of Home Inspectors (ASHI) is the nation’s oldest and most respected professional organization for Home Inspectors. Consider carefully that our Chapter Members have chosen to align themselves with the leading and most exclusive organization in their profession. The only national home inspection organization with stringent logo use requirements.